If you have really old windows that you know need an update, you might look into standard windows. Regular San Diego, CA replacement windows are going to be a lot better than what you have now. There’s nothing wrong with utilizing the standard replacement windows to get your home into better shape. However, if you’ve been saving up for the process for a while and you really want to go all out and get the best of the best, here are some of the features the most upgraded replacement windows will hold. If you can only get one upgrade, this is often the one that homeowners want. This upgrade allows your home to let in natural light, but not heat. You block the heat out in the summer and keep it in during the winter months. This coating also increases your energy efficiency by leaps and bounds. Double pane glass is now standard, but triple pane can add another layer of insulation to the window. Not only does the pane of glass itself help, but there’s another space between the panes that insulates the home even further. Standard windows come with air between the panes, but if you want further efficiency, you can add inert gas fillings. Argon gas is denser than air and readily available in the environment. If you really want to upgrade, you can get Krypton gas, which is even denser, but also costs more since it has to be manufactured. These gas fillings allow you to stop air from coming in and out of your home even more and lower your energy bills even farther. There’s nothing wrong with white replacement windows since white goes with anything and is the most popular color for window frames, but if you want something that truly stands out and looks perfect on your home, choose a customized color for your windows. The color options vary based on the manufacturer, but perhaps you want something that blends into your home and coordinates or something that contrasts with perfection. Standard hardware still includes new technology that allows the locking mechanisms to work better than ever, but there are certain styles that can make your home look elegant and upgraded. Something as small as the hardware can end up making a big difference in the overall appearance of your windows inside. If you want all of the upgrades above and then some, contact the professionals at Window Solutions to go over the options and details. 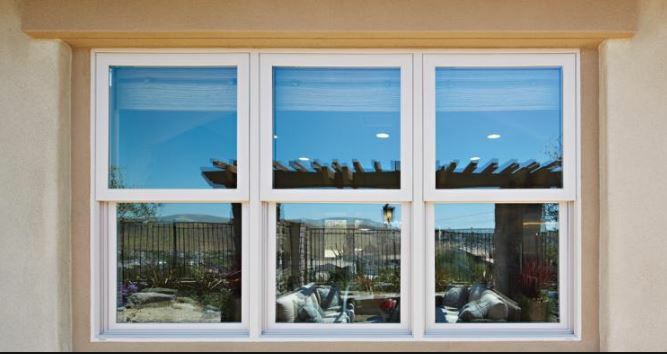 Your San Diego, CA replacement windows are going to improve your home in a number of ways. Visit our showroom at 613 W Main St. El Cajon, CA 92020 to see some of the choices you have to make during the process. You can also call us at (619) 258-0515 for a free consultation appointment. We’re here to show you every upgrade, talk over the benefits, and help you decide which you want for your home.